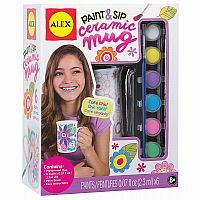 Paint and Sip Ceramic Mug lets you decorate your own cup. Use it to drink water, juice, tea and more or use it to eat soup or ice cream! Perfect to make as a gift or to use at home! 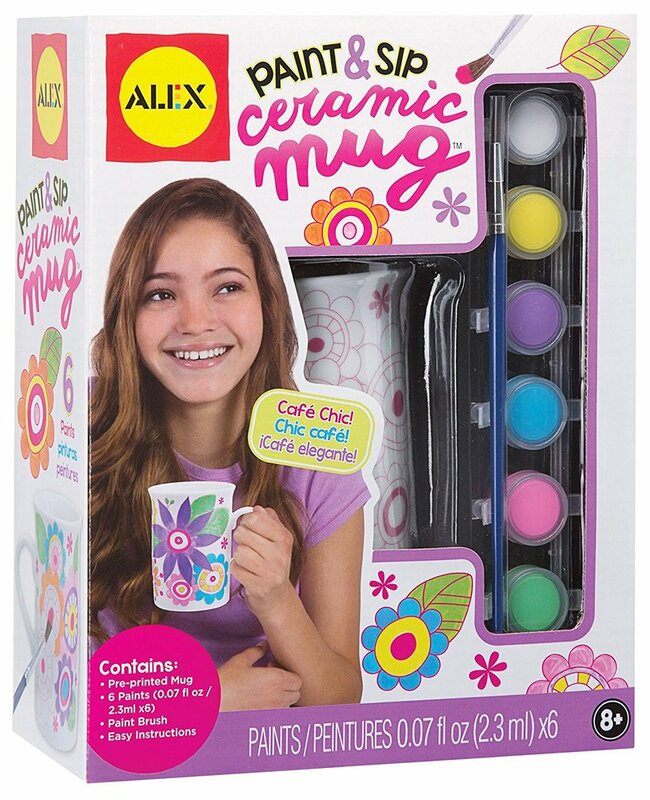 The set includes paint and a mug with pre-printed floral artwork for easy decorating. For best results, bake to set paint.